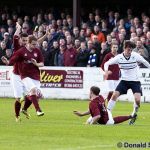 Raith Rovers made it through to the Fourth Round of the William Hill Scottish Cup today, but they were made to toil at Prestonfield, by an impressive Linlithgow Rose side. Rose manager Danny Smith, had mentioned beforehand that a win for his side would arguably be the best result in the club’s 125-year history. After a first-half where they battered, and bettered their senior opponents, Smith must have been frustrated that his team weren’t quite able to pull off the unexpected. Grant Murray made two changes from last weekend’s 1-1 draw with Alloa Athletic. Barrie McKay and Kevin Moon dropped to the bench, with Calum Elliot being restored to the starting line up, and Ryan Conroy returning to the left-flank. 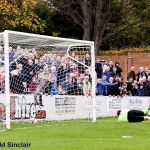 As a crowd of well over 2,000 jostled for a prime position in Linlithgow’s tight, but impressive Prestonfield ground, an excellent atmosphere built up as kick-off approached. After pennants were exchanged between captains, Jason Thomson and Adam Nelson, the game kicked-off with the home side immediately in the ascendency. 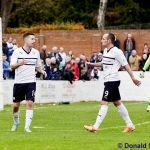 Striker Tommy Coyne, son of the former Dundee striker, linked well with midfielder Blair Batchelor, who in turn teed up Calum Smith, who had been afforded too much space on Raith’s left-hand-side. 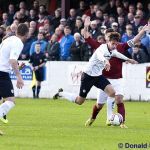 Despite shooting straight at McGurn, it was an early warning that Rose were assured in possession, and dangerous going forward. The opening stages didn’t look too encouraging from a Raith perspective, with just a deflected Grant Anderson attempt to show for their efforts. 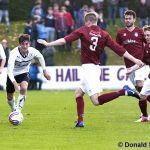 The main tactic appeared to be to get the ball to the Raith winger at the earliest available opportunity, and while it was leading to Raith winning their fair share of corners, they weren’t proving particularly fruitful. Rose on the other hand were looking bright and expansive when coming forward, in particular, wingers Roddy Maclennan and Calum Smith, and the front pairing of Coyne, and Colin Strickland, who already have 21 goals between them this season. Maclennan danced round two challenges after ten minutes, before putting his angled drive just wide, and the same player turned provider a few moments later, but after slipping a pass through to ex-Raith youngster Blair Batchelor, the midfielder failed to get his shot on target from a promising position. 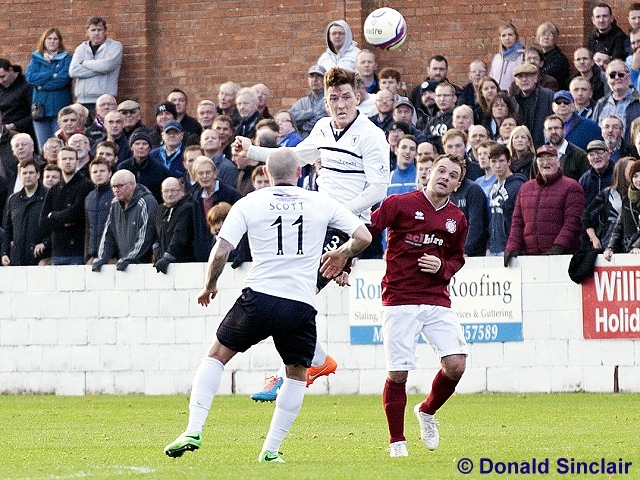 Raith were very much on the back-foot at this stage, with little or no forward momentum against the busy Linlithgow midfield, and they were reliant on goalkeeper David McGurn to keep the scores level after 15 minutes. Smith picked up the ball in midfield and was allowed to travel a considerable distance, before sending a goal bound shot towards McGurn’s left-hand-side, which the custodian did well to palm away. Rory McKeown then sent a snap shot from 25-yards over the bar, during a Raith attack that were proving to be worryingly fleeting. 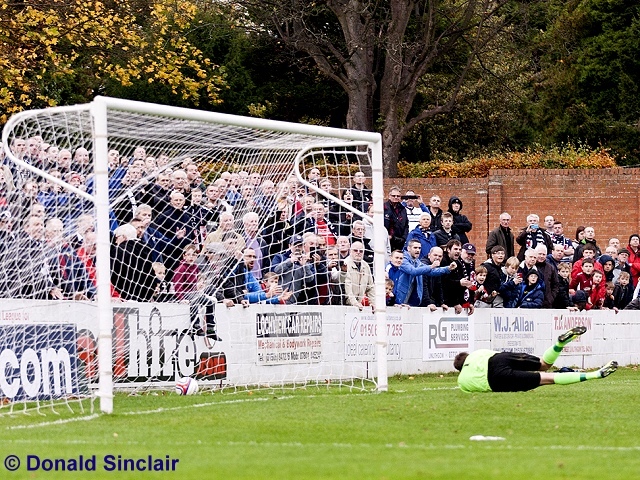 McGurn was certainly the busier of the two keepers, and he had to pull off an excellent stop midway through the first half, diving full length to his left to beat out a Strickland free-kick. 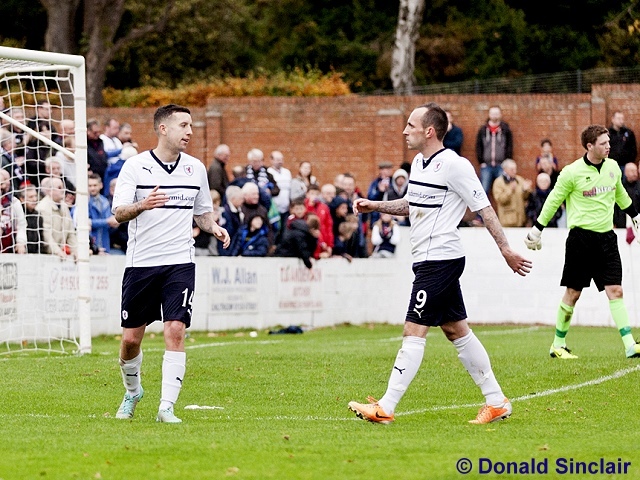 Rovers only chances were coming via set-pieces, but Linlithgow were even managing to fashion chances from Raith corner kicks, when Strickland and Coyne managed to break away on a two v two, after a Raith corner was cleared. McGurn was once again resolute, but with a touch more composure, the home side could, and probably should have taken the lead. The final, and arguably best chance of the half was again eked out by Linlithgow, and it was one they really shouldn’t have spurned. Smith was again the architect, dancing away from two Raith defenders, before threading a pass to Coyne inside the area, sidestepping one challenge, he did well to give himself time and space, but from close range, he passed the ball wide of the right-hand post. The shrill peep of Euan Anderson’s half-time whistle, was something of a relief to Raith fans ears, after a rambunctious first 45 minute performance from Linlithgow. Danny Smith’s men trooped off at the interval, possibly cursing both David McGurn, and their inaccurate finishing, for preventing them from taking the lead. If the home players were feeling sorry for themselves, they didn’t show it as they restarted the second-half, and they once again asserted their authority on proceedings. 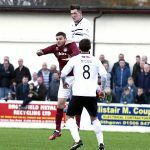 Tommy Coyne was immediately presented with an opportunity from an angle inside the penalty area, but his finish was weak and straight at McGurn. 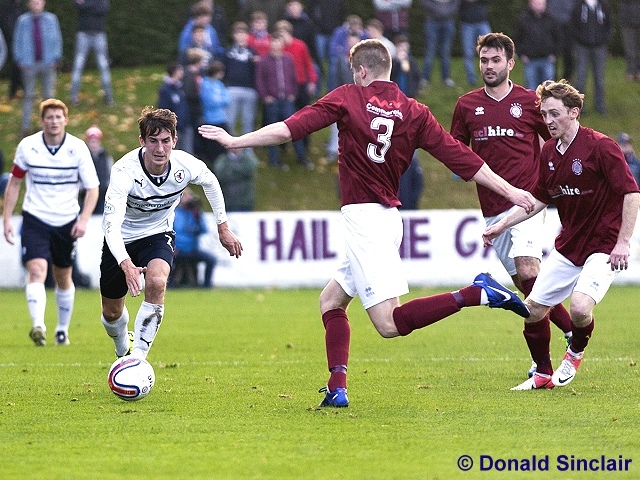 Maclennan was then allowed to pick up the ball on the half-way line, and run unhindered towards the Raith goal, before he was unceremoniously dumped onto the turf by Perry, who picked up a deserved booking. 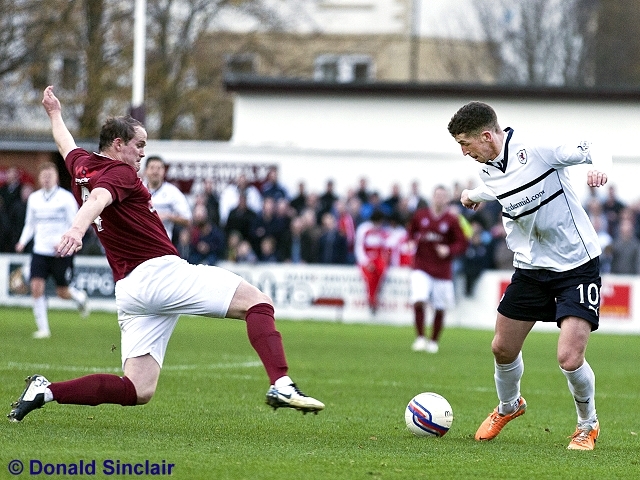 While Raith were far from dominating the second period, they were looking far more comfortable. 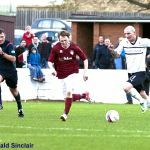 Paul Watson in particular was getting to grips with proceedings, while Linlithgow’s forward forays were lacking the potency they had in the first period. Raith should have been able to take advantage of this, but Elliot and Stewart were struggling to combine at all, especially when they were feeding off long passes from the back, rather than anything funnelled through midfield, or the flanks. 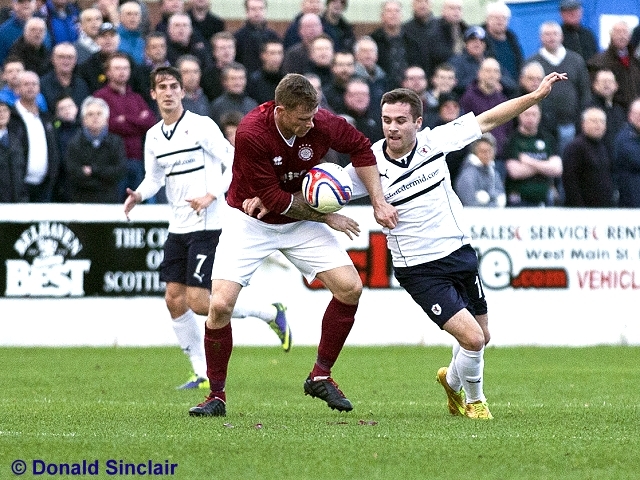 Raith did eventually open the scoring on 66 minutes however, after Martin Scott linked up with Mark Stewart. The midfielder played it wide to Stewart, and after making his way inside the area, his run was halted by right-back Gary Thom. Referee Anderson deemed his sliding challenge to be a foul however, allowing Ryan Conroy to slip his penalty past Michael McKinven to put Raith one up. 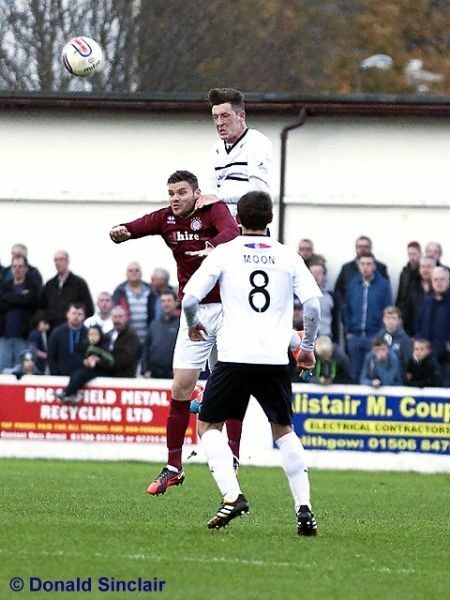 Grant Murray made his first change, replacing Stewart with Lewis Vaughan, who went up front beside Elliot. With 15 minutes remaining he made his second, replacing Conroy who appeared to have a knock, with Kevin Moon. 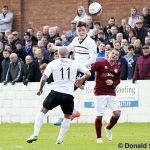 While the goal didn’t necessarily appear to knock the stuffing out of Linlithgow, they did struggle to create anything meaningful in the closing stages, although there was no faulting their effort. With five minutes remaining though, Paul Watson put the tie beyond them, when he headed home a Vaughan corner. Vaughan almost had time to score a third, when he scampered onto Elliot’s flick-on. After bearing down on goal, his effort had the sting taken out of it by McKinven, and was eventually hooked away to safety. A third goal would have been extremely harsh on the hosts, who, in the first half at least, appeared to have Raith on the ropes. Rovers squeezed through to the next round however, in a match that was similar to last season’s tie at the same stage against East Stirling. Rovers will find out who they’re paired with on Monday, when the draw is made at two o’clock. Welcome to Prestonfield, it's 15 degrees and the sun is out. The ground is filling up nicely, the home support offering some singing. I reckon that there is a few thousand in the ground and there is more to come through the turnstyles. The teams are coming out of the dressing rooms. Rovers win the tos forcing the Rose to kick off into the sun. First attack of the day sees McGurn save from Smith. Rovers have two corners, McKinven is up to the test. Nelson 35 yards out lumps his free kick way over the bar. 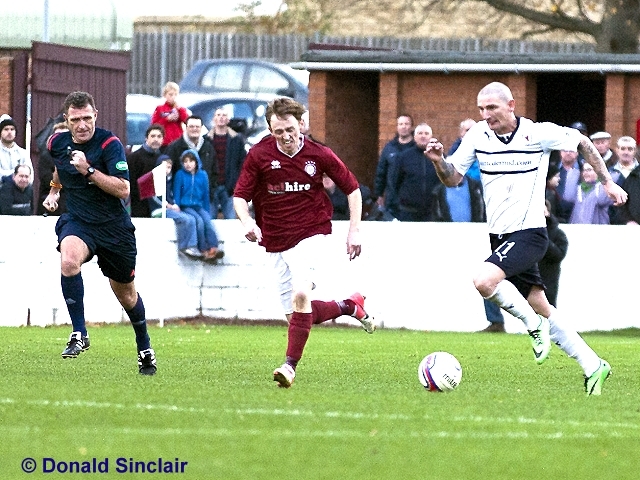 MacLennan wriggles through the Rover's defence and fires a dangerous ball across the face of goal. 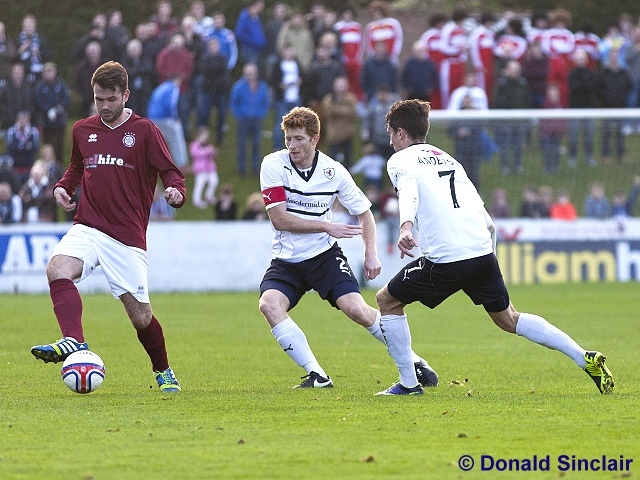 Raith get up the park after a spell of Rose pressure. Thomson beats his man on the bye line and gets a decent cross in, it was too quick for the onrushing forwards. Scott turns and shoots in the box, his effort is blocked by Ovenstone. McGurn has to react quickly with a dive low to his left to deny a fine effort by Smith. From a throw in the ball fell to McKeown who unleashed 25 yard volley straight to McKinven. Rose manager Smith is getting animated. Watson fouls Batchelor and esxcapes punishment. From the free kick Strickland is denied by McGurn who made an excellent dive to his left to parry for a corner. The first quarter over and Rose are edging possesion and effort. Cyone heading way over from a corner. Smith and Strickland break from a Rovers corner, again McGurn is the saviour. Rovers starting to get a grip on the game now. Grant Anderso n tries to beat McKinven from 25 yards, his shot going just over the bar. Anderson with a cross come shot sees the ball intercepted by McKinven. 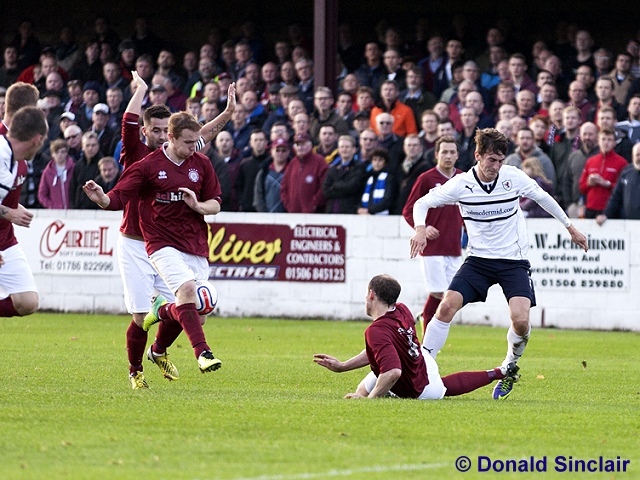 A slip by Scott delivers the ball to MacLennan who shoots wide. Anderson gets a word from the ref after an accidental challenge on Coyne. Rovers pressing, however the Rose are holding their ground. Strickland spurns his chance, the ball broke from the right but he lost composure and fired the ball left of goal. It's starting to get cloudy and the wind is getting stronger. Rose start the half brightly, Coyne trying his luck from close in, McGurn collects and clears. 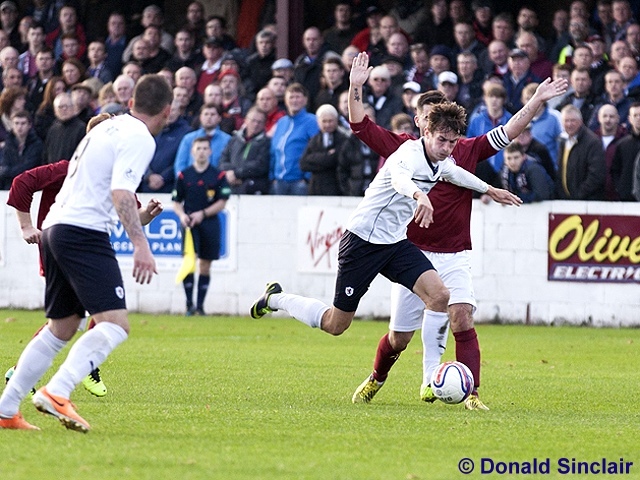 Raith pressing, Conroy's free kick going out for a corner. MacLennan turns Scott at the 18 box and shoots wide of the target. Conroy swings in a corner, Watson heads on target, McKinven saves. Elliot cuts in from the left, his side footed shot is picked up by McKinven. Play getting bogged down in midfield, it's like watching tennis. Penalty for Rovers, Stewart's run in the box is impeeded. Goal Rovers, Conroy chose low and right and beats McKinven. Rose are not downhearted, they restart and immediately press up the park. Conroy's free kick is punched clear by the keeper. Watson clears a corner off the line, the ball falls to Smith who shoots wide. Conroy down holding his hamstring. Physio determines the problem to be cramp. Rose still not ghiving up on this tie. The home support are ramping up the volume. Rovers survive a call for handball (Watson) in the box. Watson kills the tie with a headed goal from a corner. GOAL ROVERS. Watson tried for a brace, this time his header goes wide. Lewis breaks free, his shot is spooned off the line. Shirra and Elliot yellow for a clash. McKinven, Thom, McKillen, O'Byrne, Ovenstone, Nelson, Smith, Batchelor, Strickland, Coyne, Roddy MacLennan. Subs, Kelbie, Kelly, Tyrrell, Shirra, Ruari MacLennan, Christie. McGurn, Thomson, Perry, Watson, Fox, Anderson, Stewart, Elliot, Scott, Conroy, McKeown. Subs, Laidlaw, Hill, Moon, Callachan, Vaughan, McKay, Matthews.